I will be writing a series in the future about aging care. This is a HUGE topic, and I really want to serve you guys in a way that helps you accomplish far more than you thought possible with your personal finances. So here is the deal: I want to know what you want to discuss and learn regarding aging care. Even more, if you have had experiences with dealing with the financial affairs of an aging parent or relative who was receiving some form of aging care, I want to hear about them. It would be INCREDIBLE if you would be willing to share your experiences. You an share your experiences HERE. 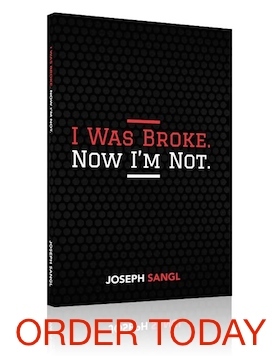 I believe this could be one of the most impactful series we have EVER done here at JosephSangl.com! I have worked in Assisted Living for the previous 3 1/2 years now, and can tell you from experience the importance of long-term healthcare insurance. The typical cost of these types of health-care options can run $3,000 to $5,500 or more per month. Long-Term Care Insurance can help defray the cost considerably, but those without tend to pay out of pocket (or family members do). Nursing home care can easily run twice this cost. From what I’ve seen, many seniors–and or their families–choose to stay at home instead of paying these expenses, but often it is only a matter of time before the aging population has no option other than to use these care facilities because families aren’t able/available to help care for their loved ones.